Small, slick city crossover cars are all the rage right now and the Peugeot 2008 not only fits the description to a T, but is a classy example of what one should be like. Perceived build quality is superb. The 2008 has a notch in the roof, a bit like the Discovery, which gives the back ample space. The ride height of 165mm allows you to take that gravel road and the suspension is very good. To give it a bit more out-of-city ability it has a real full size spare tyre. Boot space is fair with 410L normally, but with the rear seat folded down the boot is large. I like the brushed metal trim protection plate on the sill of the boot which is at a very comfortable height. The interior is stylish classical French chic, with all sorts of little touches you will appreciate, like a refrigerated glovebox. It is a really pleasant cabin with soft touch and carefully thought out materials, colours and textures. The hand brake is a very different, aviation style device, but it looks good. The rear seat does not recline as much as one perhaps would like it to, but legroom is quite good. The otherwise comfortable seats are at a very comfortable height for getting in and out.The basic interior is half leather trim as standard, but full leather is an option. I would not bother as the half leather feels just right and is exceptionally comfortable. The smallish multifunction leather steering wheel is a joy to use, as are all the controls. Features include SMEG+1 digital touch screen with a jack/ usb, bluetooth and climate control except in the base model. Optional extras include a Cielo panoramic glass roof, full leather seats, retention net and a number of other items. 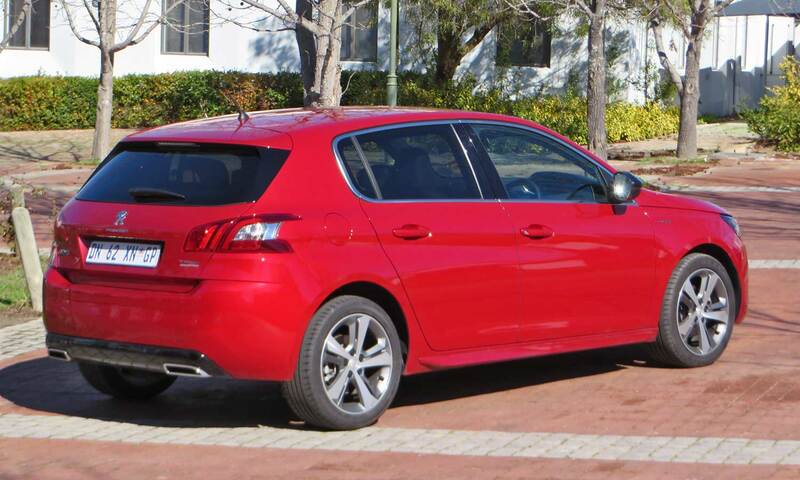 Peugeot claim consumption figures 6.6 L/100km urban 5.2 combined, but I got (a still good) 7.8L/100km. The 6-speed automatic gearbox coupled to the 3-cyl 1.2L turbo petrol engine delivers a more than adequate 81kW of power and 205 Nm of torque. There are actually 4 models in the 2008 range, two 1.6 HDi diesels which have manual gearboxes and two turbopetrol models with auto boxes. I recommend the latter. 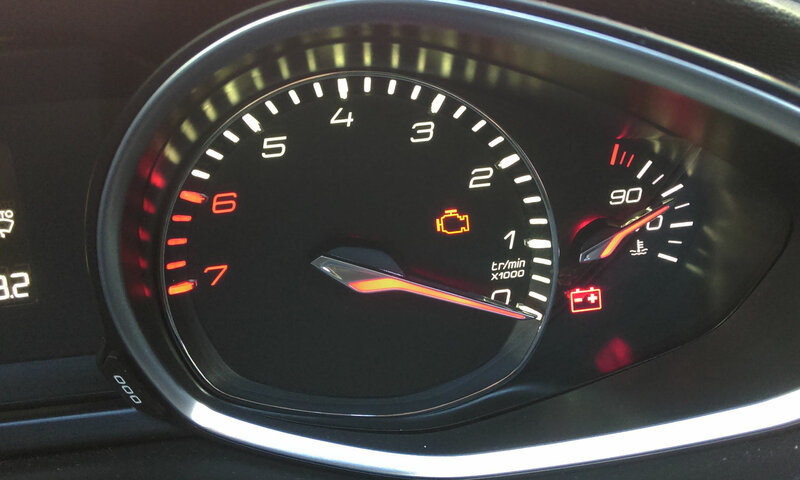 The lighting is very up-to-date with cornering assist fog lights, follow-me-home lights, bright headlight beams and LED running lights. Technically the GTLine model we drove is sate-of-the-art with stop-start, grip control, rear park sensor with camera, hill assist, cruise control, auto wipers and auto lights. From a safety point of view this crossover has ABS with EBD, ESP which allows you to select the right driving mode for the circumstances – mud, snow, sand or standard; EBA, anti-slip function, in fact all the safety kit you could want to help you get home safely. The 2008 comes with a year or 100 000km warranty and a 3 year or 45 000km service plan. A maintenance plan is available at extra cost. The GTLine costs R349 900, but the range starts at R274 900 for the diesel manual in Active trim. The competition includes the Renault Captur (very good for touring especially on gravel), Toyota C-HR, Audi Q2, Suzuki SX4, Mazda CX-3 (seriously stylish and a driver’s car) and Nissan Qashqai (a best seller). 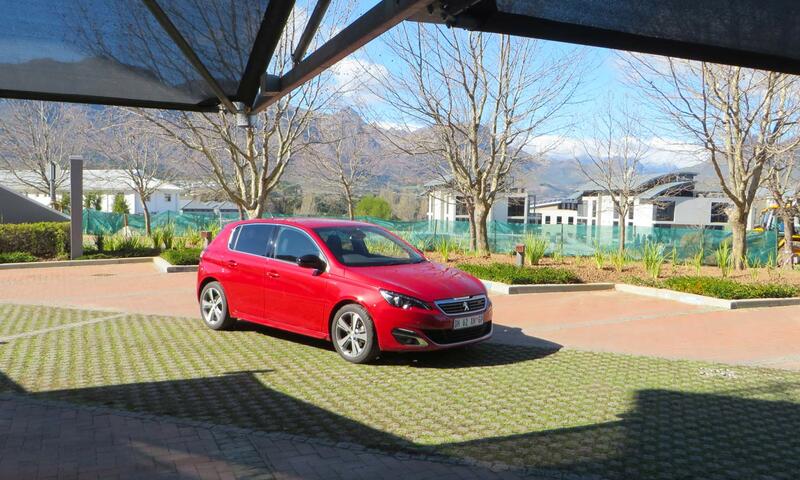 This new 308 is much less quirky than earlier versions, and it is the better car for it. So much so that it was voted European Car of the Year in 2014. I am not sure it is quite that good. The interior is smart, uncluttered and, well… chic. It is French after all. I did not like the counter clockwise rev counter, but otherwise the cabin is really pleasant, with many controls via the large touch screen, which is really easy to use. The materials appear to be good quality and have been well chosen with pleasant contrasts, from brushed aluminium to soft touch plastic. Fit and finish is good. The boot is big enough to pass the pram test twice over and when you fold down the back seats is borderline huge. The 1.2L turbo-petrol engine, like in the Cactus, puts out 230Nm of torque, which coupled to the rather light body means good performance is the order of the day although the clutch and I never really made friends. I got fuel consumption of around 7 Litre/ 100km on my normal route, but Peugeot claim below 6L/100km. The suspension has been soundly engineered to achieve that balance or sweet spot between being able to take on the rough but not insulate the driver from the road. It is very good. The brakes, steering, acceleration are all well set up. Its a nice car to drive. An automatic gearbox is expected early in 2016. As with all French cars the safety package is comprehensive. Its got everything. Although it is a refined and classy car, I feel it is a little pricey at R329 900. 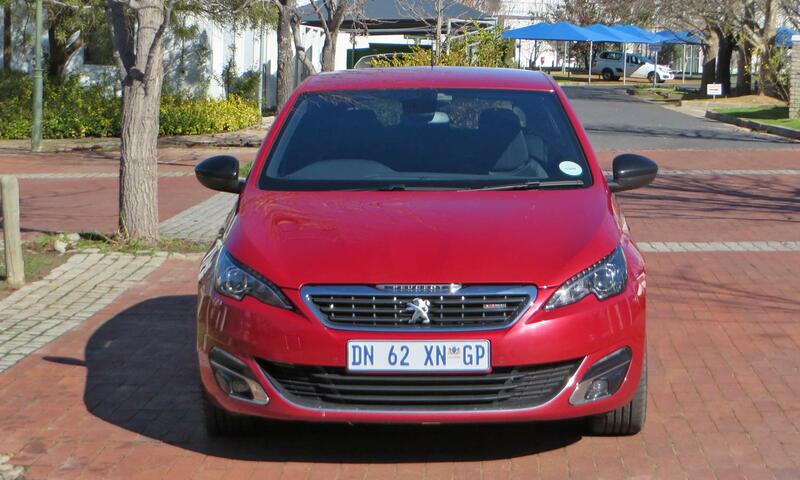 This car competes with all the C sector heavyweights: Ford Fusion, VW Golf, Toyota Auris, as well as the Renault Megane, Mazda3, Kia Cerato and Opel Astra. It comes with a 5 year maintenance plan.